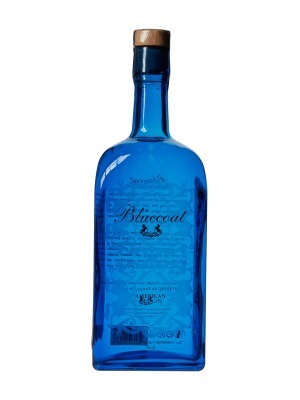 Bluecoat American Gin is a popular Craft Gin available from Amazon.co.uk in 70cl to buy online. Visit Amazon.co.uk for the best price for 70cl of Bluecoat American Gin or compare prices on our other Craft Gin products. Bluecoat Gin is named after the blue uniforms worn by the American militia during the revolution, crating an ultre-premium look and feel. Said to be made in the 'American Style', it's citrusy flavour profile and 'boldish' juniper notes has made this premium gin very sought after. Smooth in body with refreshing sweet aromatics, a long, luscious finish, and one that must be tried by all gin lovers to be appreciated. Where to buy Bluecoat American Gin ? Bluecoat American Gin Supermarkets & Stockists. You can buy Bluecoat American Gin online in most retailers and find it in the Craft Gin aisle in supermarkets but we found the best deals online for Bluecoat American Gin in Amazon.co.uk, TheDrinkShop, and others. Compare the current price of Bluecoat American Gin in 70cl size in the table of offers below. Simply click on the button to order Bluecoat American Gin online now.